Jared Unzipped: The Hardest Part Of The Human Body. When one thinks of the hardest, most durable parts of the human body, there are some obvious guesses that could be made. The skull? Maybe the hip? Perhaps your femur? Believe it or not, the hardest part of the human body is in your mouth. 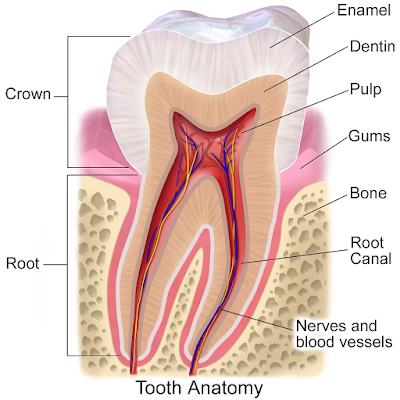 Tooth enamel, the outermost layer of your teeth, is the most adamantine structure you possess. Enamel is largely composed of hydroxyapatite, which is a crystalline calcium phosphate. As such, it is stronger than any bone you have. And yet, even tooth enamel has its weaknesses. What you eat determines the longevity of your enamel and overall dental health. Sugar is extremely destructive to enamel. Why? Because sugar acts as a food source for oral bacteria. As sugar comes to rest on your teeth, bacteria feed on it. This produces lactic acid. Accordingly, the lactic acid lowers the pH in the mouth. With a lower pH, the mineral structure of the hydroxyapatite in your enamel begins to erode, allowing bacteria to further invade the interior of a tooth. It's a endless cycle, ultimately leading to a tooth rotting out if not treated. Also harmful to tooth enamel are various acids, like that found in your gastrointestinal system or from soda pop. Of note, a hard-bristle toothbrush can also wear away the enamel over a long period of use. Soft-bristle toothbrushes are the way to go! 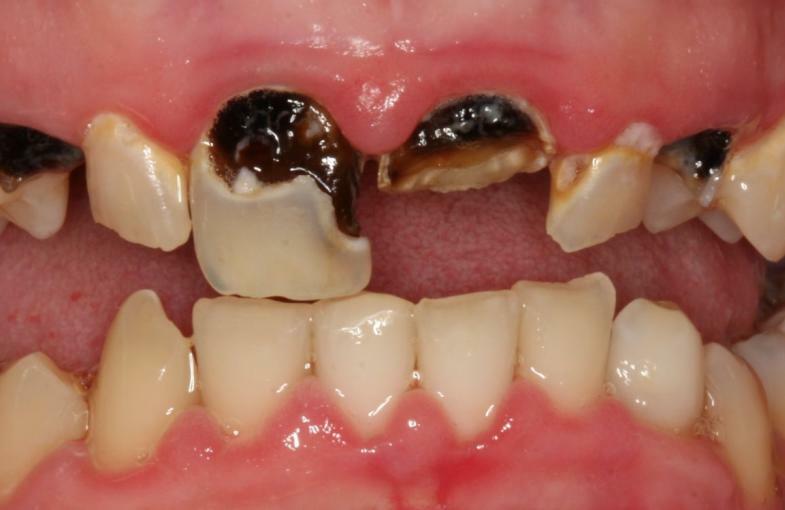 This is what sugar does to your mouth. It leads to enamel loss, allowing bacteria to invade and destroy your teeth. Your tooth enamel will serve you a lifetime if you take care of it. Brush twice a day and limit your sugar intake as much as possible. Do that and the hardest substance in your body stay that way.